She is the sole author of the books: The Discourse of Court Interpreting (2004/2010) and Community Interpreting (2007), and co-author of four other books, including Research Methods in Interpreting (2013) with Jemina Napier. She has also written numerous journal articles and book chapters. She is regularly invited as plenary/keynote speaker at international conferences and has delivered numerous presentations to the judiciary and tribunal members for many years on how to work with interpreters. Professor Hale also has many years’ experience as a NAATI accredited/certified Spanish interpreter and translator, and continues to practice as a conference interpreter. Professor Claudia V. Angelelli is Chair in Multilingualism and Communication at Heriot-Watt University (Edimburgh campus), UK, Emeritus Professor of Spanish Linguistics at San Diego State University, US and Visiting Professor at Beijing University of Foreign Studies. Her research sits at the intersection of sociolinguistics, applied linguistics and translation and interpreting studies. She holds a Ph.D. from Stanford University, a Master of Arts (and two PG Certificates) from MIIS (Middlebury Institute of International Studies at Monterey) and a Bachelor of Arts from Universidad Católica Argentina. She is the sole author of Medical Interpreting and Cross-cultural Communication (2004), Revisiting the Role of the Interpreter (2004) and Medical Interpreting Explained (2018). She is sole Guest Editor of the following journal special issues: The International Journal of the Sociology of Language: Translators and Interpreters: Geographic Displacement and Linguistic Consequences (2011), Translation and Interpreting Studies: The Sociological Turn in Translation and Interpreting (2012), Cuadernos de ALDEEU: Minding the Gaps: Translation and Interpreting Studies in Academia (2013) and Translation and Interpreting Pedagogy in Dialogue with other Disciplines (2014 w/Colina). She is co-editor of Researching Translation and Interpreting Studies (2015 w/Baer), Testing and Assessment in Translation and Interpreting Studies (2009 w/Jacobson), Her work appears in The Annual Review of Applied Linguistics, The Critical Link, Cuadernos de ALDEEU; European Journal of Applied Linguistics, Interpreting, Journal of Applied Linguistics and Professional Practice, META, MONTI (Monografias de Traducción e Interpretación), The Translator, TIS (Translation and Interpreting Studies), The International Journal of the Sociology of Language and numerous edited volumes. She designed the first empirically-driven language proficiency and interpreter readiness tests for The California Endowment and Hablamos Juntos (Robert Wood Johnson Foundation). She has been research projects in Argentina, Australia, the European Union and the United States. Prof. Angelelli is Past President of the American Translation and Interpreting Studies Association and has served as Director of the American Translators Association for 6 years. She led ISO 13611: Standards on Community Interpreting and co-authored The California Standards for Health Care Interpreters. 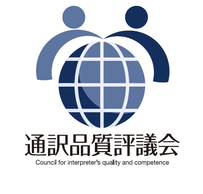 Ethical Principles, Protocols, and Guidance on Interpreter Roles and Interventions. Prof. Angelelli has extensive experience as freelancer and consultant in translation and community interpreting. Kumiko Torikai is Professor Emeritus of Rikkyo University, and Visiting Professor at Showa Women’s University. Founding Dean of Rikkyo University’s Graduate School of Intercultural Communication from 2002 to 2011. She earned her BA at Sophia University, MA at Columbia University Teachers College, and a Ph.D. at University of Southampton, School of Humanities. Her research includes interpreting/translation and language education in connection with intercultural communication. She has been a member of the Science Council of Japan since 2008, and Council member of the Japan Society for Intercultural Studies since 2001. 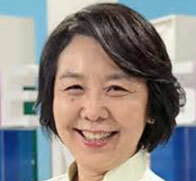 Torikai was President of the Japan Association for Interpreting and Translation Studies (2004-2010), President of the Japan Congress/Convention Bureau (2002-2008), Council Member of FIT(2001-2005), Council Member of IATIS (2006- 2010), served on the Reading Committer of Babel (2002 -2015), and a member of the International Advisory Board of The Interpreter and Translator Trainer(2007-2017). She was Visiting Professor at the University of Tokyo Graduate School of Education (2006 -2009), Visiting Professor at the National Institute for Japanese Language and Linguistics (2011-2012), and currently Chief Director of Minato International Association in Tokyo. She is the author of Voices of the invisible presence: Diplomatic interpreters in post-World War II Japan. 2009, John Benjamins, and has contributed chapters on Oral History as a Research Method to Study Interpreters’ Habitus, in Vorderobermeier, Gisella M. (ed.) Remapping "Habitus" in Translation Studies (Approaches to Translation Studies Vol.40, 2014, pp.135-47, Rodopi); on Conference Interpreters and their Perception of Culture: From the Narratives of Japanese Pioneers, in R. Sela-Shefy & M. Shlesinger (Eds.). Identity and status in the translational profession (2011, pp.189-207, John Benjamins) ; on Interpreting and Translation in a Japanese Social and Historical Context, The International Journal of the Sociology of Language, No.207 (2011, pp. 89-106, Mouton de Gruyter); and on Nagasaki Tsûji in Historical Novels by Yoshimura Akira, in Takeda K. & Baigorri-Jalón, J. (Eds. ).New Insights in the History of Interpreting(2016, pp.75-97, John Benjamins). Edited the Japanese translation of Pöchhacker, F. (2004) Introduction to interpreting studies, Routledge and Munday, J. (2008). Introduction to translation studies, Routledge, both published by Misuzu Shobo in Tokyo, in 2008 & 2009 respectively. Dr. Satoshi Nakamura is Professor of Nara Institute of Science and Technology (NAIST), Team Leader of Riken AIP, Honorarprofessor of Karlsruhe Institute of Technology, Germany. He received his B.S. from Kyoto Institute of Technology in 1981 and Ph.D. from Kyoto University in 1992. He was Associate Professor of Graduate School of Information Science at NAIST in 1994-2000. He was Department head and Director of ATR Spoken Language Communication Research Laboratories in 2000-2004, and 2005-2008, respectively and Vice president of ATR in 2007-2008. 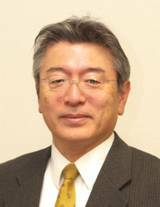 He was Director General of Keihanna Research Laboratories and the Executive Director of Knowledge Creating Communication Research Center, National Institute of Information and Communications Technology, Japan in 2009-2010. He is currently Director of Data Science Center and a full professor of Information Science Division, Graduate School of Science and Technology of NAIST, and Team Leader of Tourism Information Analytics Team at Center for Advanced Intelligence Project (AIP), RIKEN, Japan. His research interests include modeling and systems of speech processing, spoken dialog systems, natural language processing, and big data analytics. He is one of the world leaders of speech-to-speech translation research and has been serving for various speech-to-speech translation research projects. He was a committee member of IEEE SLTC 2016-2018. He is currently an Elected Board Member of International Speech Communication Association, ISCA. He received Antonio Zampolli Prize in 2012 and retained the title of ATR Fellow, IPSJ Fellow, and IEEE Fellow.